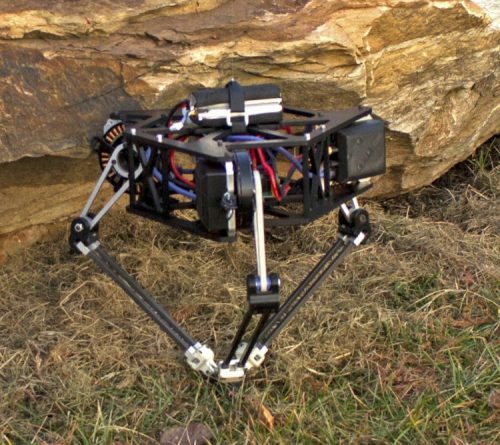 Delta Hopper is power-autonomous one-legged robot that uses direct drive motors to power hopping in three dimensions. By instantiating one of the most basic templates of legged locomotion, the spring loaded inverted pendulum (SLIP), the Delta Hopper can be used to test balance control algorithms before constructing more complex, multi-legged robots. It also allows for research into mechanism design for building high degree-of-freedom joints for other robots.